Alcohol & Drug Addiction Information Resource | Sherbrooke, Qc. Alcohol and Drug Addiction Information Resource for Sherbrooke, Qc. General Information for Sherbrooke, Qc. Sherbrooke, Qc., is located in the southern region of the province, where the Saint-Francois and Magog rivers join. With a population of close to 187,000, Sherbrooke is the fourth most populous city in Quebec. It is a bustling city, recently ranked as the number one place to do business in Canada by the Canadian Business Magazine in 2007. Among its many benefits, Sherbrooke boasts large increases in the number of commercial building permits, a strong export business, and a highly educated workforce. 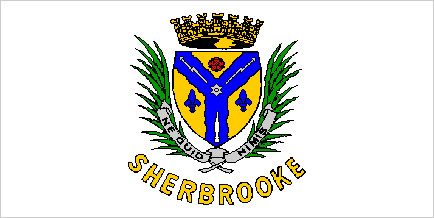 Sherbrooke is a relatively young city, with the vast majority of its residents falling in the 15 to 64 year age category. Over recent years, it has become an attractive destination for immigrants, and has seen approximately 4,000 new immigrants settle—about two percent of the total population. Sherbrooke also sits at the center of an important agricultural region, comprised mostly of dairy farms. It is a largely French city—about 90 percent of the population is unilingual French-speaking. Anglophones, by comparison, make up a mere four percent of the city’s residents, and Bilinguals less than one percent. Alcohol Addiction and Drug Abuse in Sherbrooke, Qc. 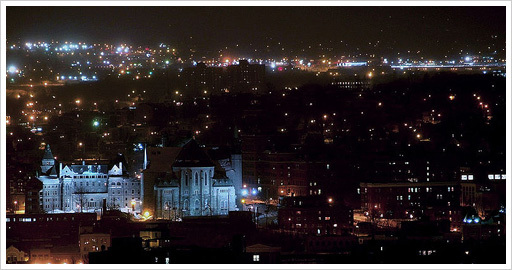 View of Sherbrooke, Quebec Seen by Night. Photo shot on February 14th, 2005. In recent years, perhaps due to the influx of people and business, Sherbrooke has become an increasingly more integral part of the illicit drug trade in Quebec. Larger neighbouring gangs, from Montreal especially, are incorporating Sherbrooke into their drug rings. For example, in 2006, a Quebec drug trafficking bust led to 24 police searches in Sherbrooke alone. Distribution and production facilities for both marijuana and ecstasy were found. The surge in activity is partly due to its proximity to the US border, as well as its relative proximity to both Montreal and Quebec City. A 2007 United Nations study ranked Canada number one of all industrialized nations in marijuana consumption. This ranking, however, was achieved only because of Quebec’s apparent love of marijuana. Alarmingly, the biggest difference between Quebec and the rest of the country was in the youngest population group, with 32 percent of Quebec students from Secondary I to III reportedly smoking marijuana at least once—compared to 18 percent of British Columbia’s and 11 percent of Ontario’s students of the same age. Overall, the use of marijuana is 12 percent higher in Quebec than the national average, at 15.8 percent, according to the Canadian Addiction Survey by Health Canada. Recently, marijuana surpassed alcohol as the drug that youth are seeking addiction treatment for in Quebec. At Sobriety Home, we keep up-to-date on all the latest drug use and alcohol addiction research so that we can offer the best addiction treatment programs possible. New research allows us a better understanding of alcohol and drug addiction, resulting in better counselling, treatment, aftercare, and, ultimately, a more successful recovery process for you.